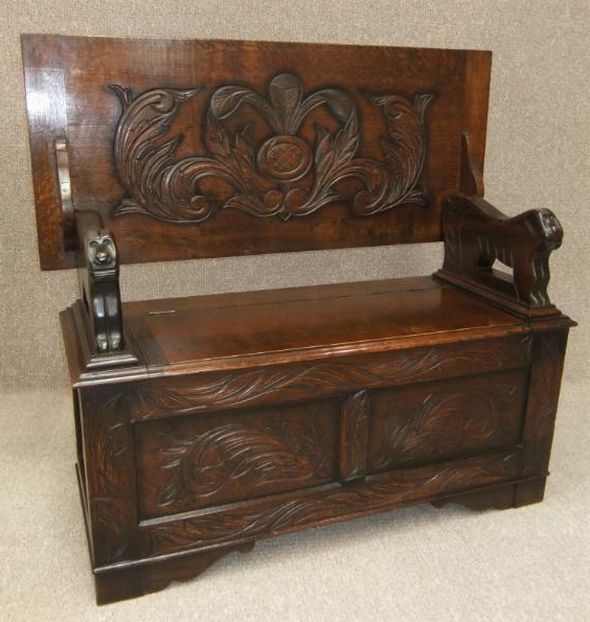 An elegantly carved circa 1930s oak monks bench featuring a lift up lid enabling it to be turned into a table. It has a large lift up seat that reveals a useful storage area for shoes, boots, bags etc. The arms are carved in a lion design. This 1930s solid oak monks bench is in lovely condition, with just a moderate amount of wear and tear; ideal for any period hall, reception hall etc.